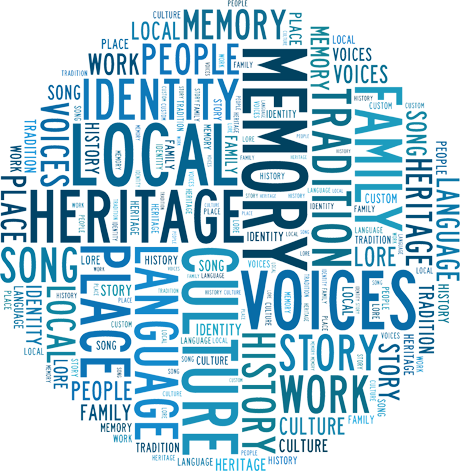 Local Voices was contracted by Way of the Village (WoV) to develop a project model to facilitate the collecting of oral histories by volunteers. The Keening’ Wake is a Heritage Lottery Fund backed project led by Way of the Village aiming to learn about past keening practices in Scotland. Keening is an important part of our heritage. Today grief is tucked away, hidden, and saved for private moments, and yet it lingers on in our suicide and ill-mental health statistics. The communal practice of keening and lamenting together can perhaps remind us to trust the more visceral aspect of our feelings when the unbearable happens. Local Voices helped Way of the Village to develop a model and strategy that would allow it to manage an oral history project. We also designed a technical specification for the project, and helped source equipment and software for making and post-processing the oral history interviews. We then trained the volunteers to go out into the field and begin collecting, and equipped them with a ‘Fieldwork Guide’ – a field manual covering the process from start to finish. Our mission is to help communities across Scotland identify, engage with, collect and celebrate their local heritage, with special focuses on Scots language and traditional arts.